Whether one is a salesperson in the field, mid-level manager or CEO, setting goals and striving to attain goals is critical to success. 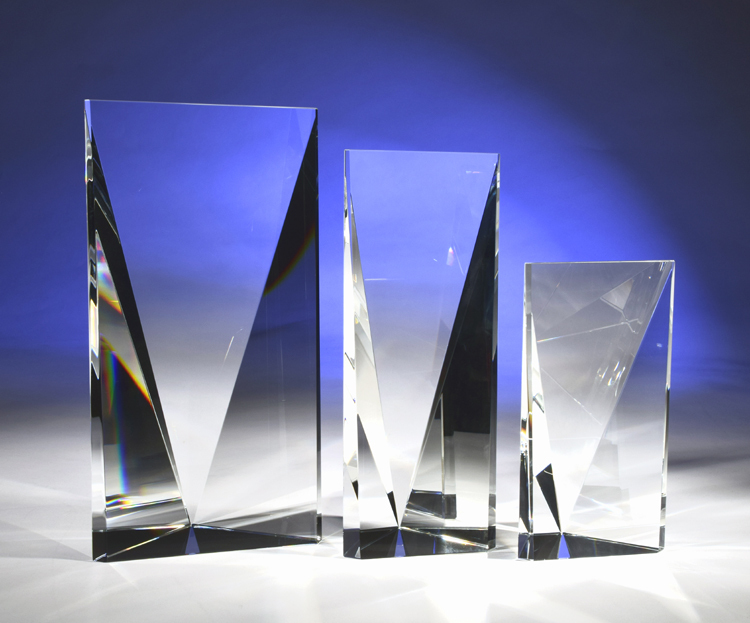 A stunning new sculpture from CRYSTAL WORLD, "Attainment" is handmade from the finest optical crystal, and will make a perfect recognition, incentive or sales leader award; corporate, executive or retirement gift. Ideal for the financial services, health, manufacturing, transportation, retail, IT or sales industries; sports, performing arts or entertainment fields; or the non-profit arena. 3-1/2" x 2-1/2" x 8"
Etching area: 2 1/2” x 7"